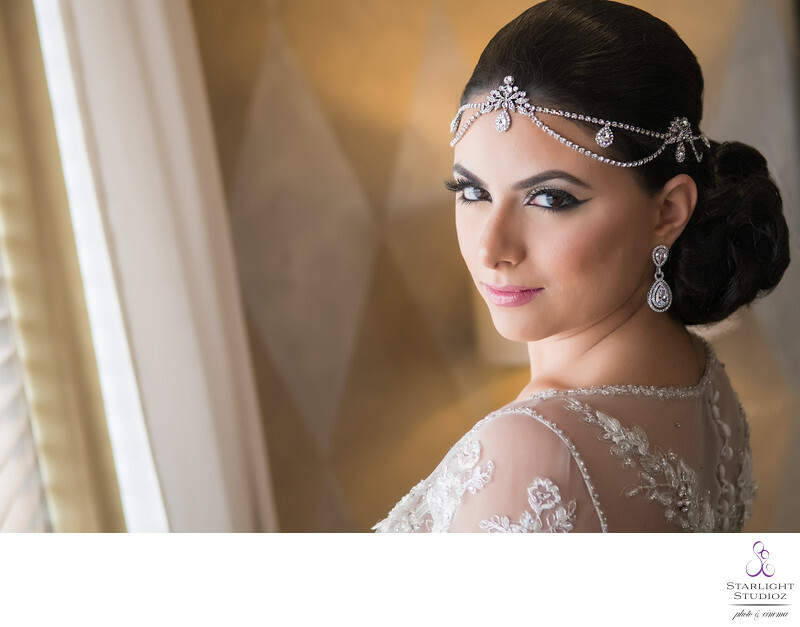 Complete your bridal look like our princess bride Tali with the most incredible custom designed crystal encrusted headpiece by Bridal Styles Boutique, in Brooklyn, NY. Her jewelry, earrings and cathedral veil were also from Bridal Styles. We love capturing the beautifully custom designed and exquisite hairpiece and headpieces by Edward at Bridal Styles Boutique. This bridal hair boutique located on Avenue U is extremely popular amongst brides locally as well as nationally and even worldwide. Tali's bridal glam team was Makeup by Rada for makeup, and stunning bun hairstyle by Hair by Senada K. Makeup by Rada is a self taught makeup artist who grew her instagram following to over 10k. Senada K. Personal Hairstylist is extremely well known in the New York Metropiltan area amongst brides and isvery busy having sometimes several brides to style for their weddings per day. Tali's custom wedding gown was purchased from Monica's Bridal, Sheepshead Bay, Brooklyn. She is a beautiful new york bride and has amazing wedding photos to look back on from her perfect wedding at Da Mikelle Illagio. Wedding and event planner Couture Creations made sure the day happened without any hiccups. The lavish cake was made by Lidiya Zdrok.